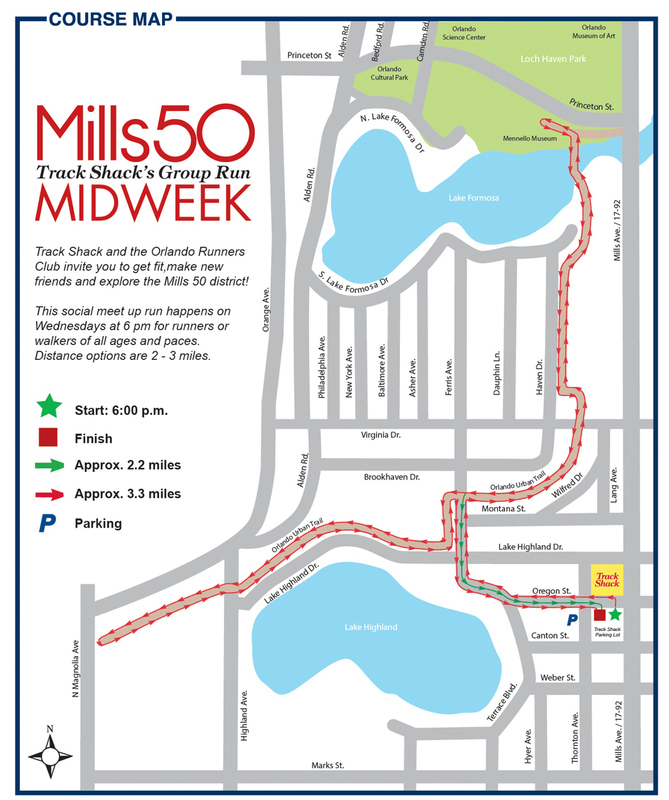 Every Wednesday at Track Shack, you can get fit, make new friends and explore the Mills 50 district! Our group runs are social, the course is roughly three miles and people of all ability levels are welcome. You'll start on Oregon St. and then spill onto the Orlando Urban Trail, as well as parts of Track Shack's Celebration of Running course. Click on the map to enlarge. Use Facebook to Leave a Comment on Weekly Group Run - We'd love to hear from you!